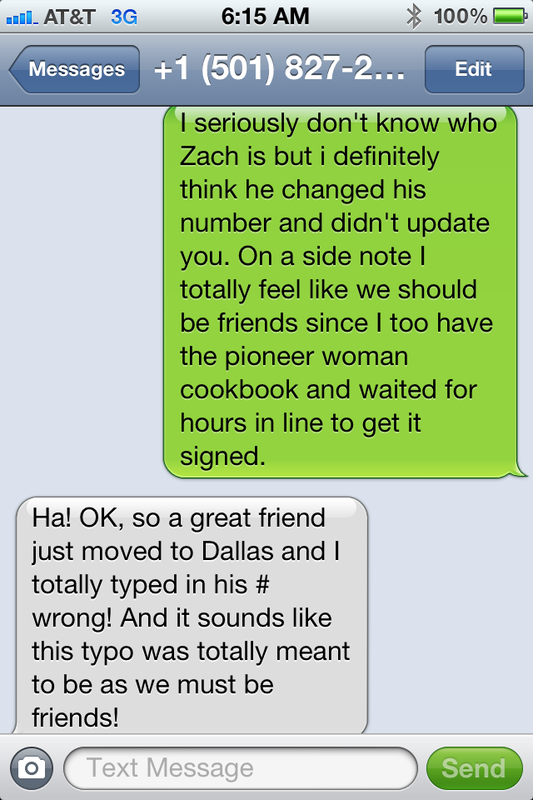 When we moved back to Dallas almost three years ago, I had to get a new cell phone number. My previous Dallas number had been a work phone and I didn’t see much point in keeping the Denver number, so I got a brand new number. Every once in a blue moon my phone would receive a random call or text. The calls were often automated and had to do with someone in Washington informing me that my interests were being represented or something along those lines. Right. Another time it was a journal based in Arkansas wanting to know if I would like a 2 year subscription. I politely told them I didn’t live in Arkansas but the representative proceeded to tell me that I could still subscribe. I hung up. All in all it wasn’t so bad and I learned to avoid unknown calls. Every so often, I received random texts – “Hey this is so and so, here’s my new number.” or “Congrats on the big move. Let me know if you need any help.” Needless to say, I gently let these individuals know they had the wrong number. 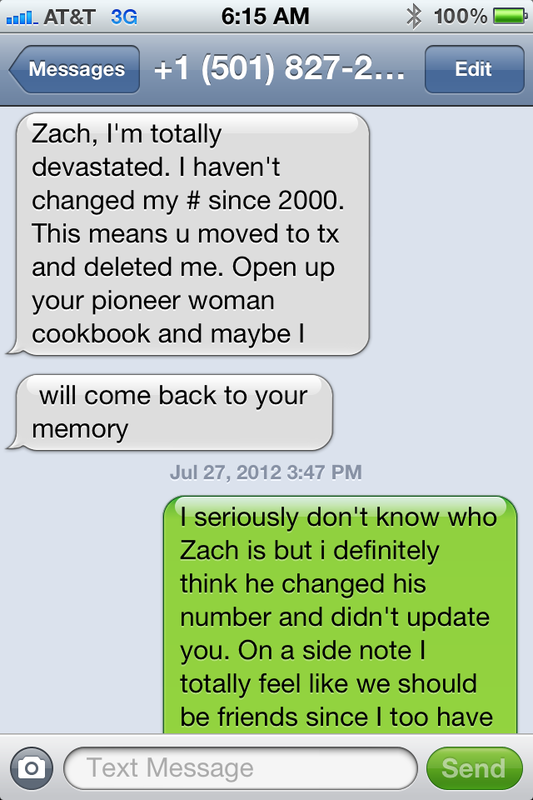 But the other day, I received a wrong number text that I couldn’t resist. I mean what are the odds that we would have the same taste in cookbooks? Below is the conversation. All because of a typo. It totally made my day though.